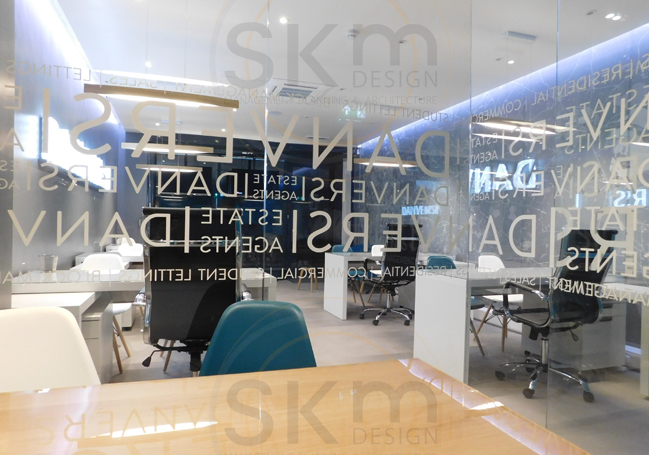 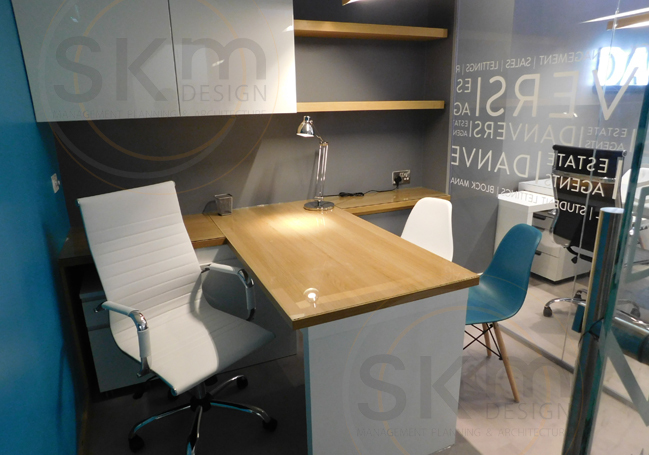 Formerly The Lettings Co., this commercial project involved refurbishing and transforming the existing office space. 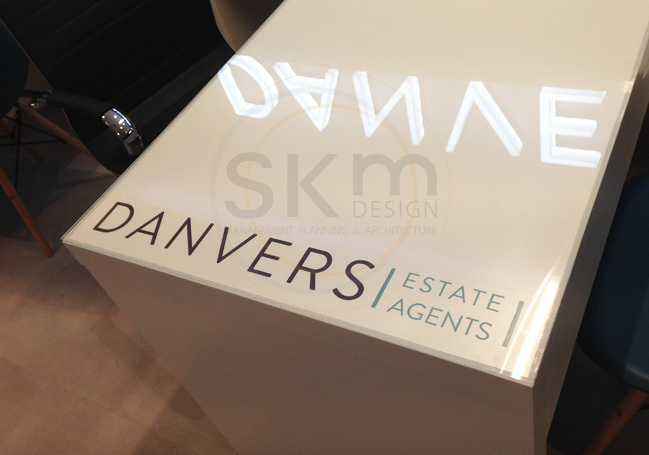 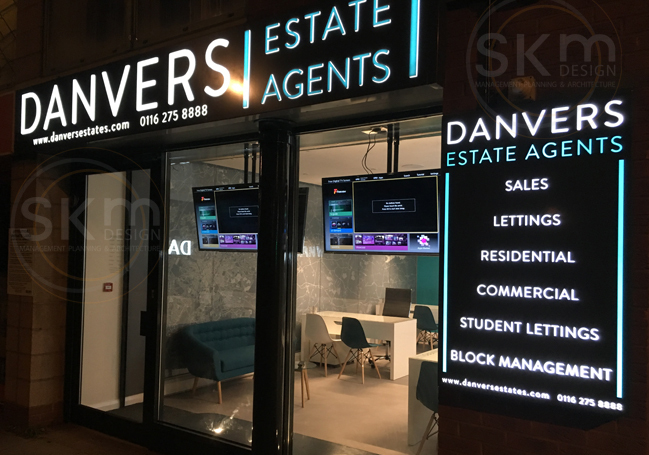 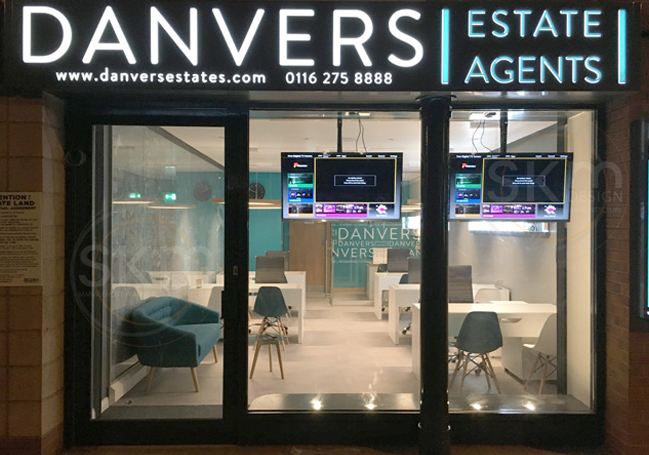 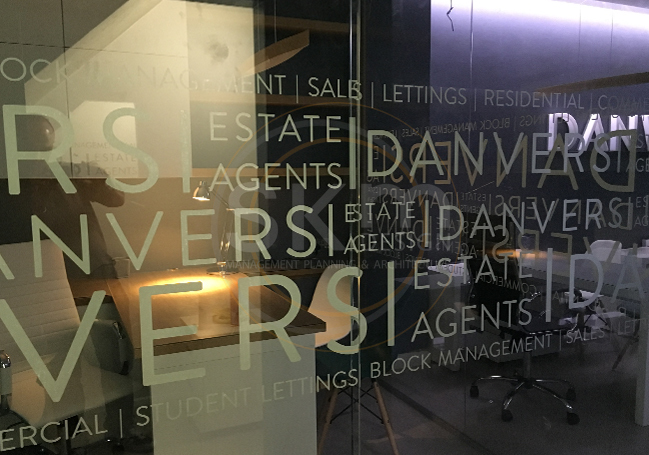 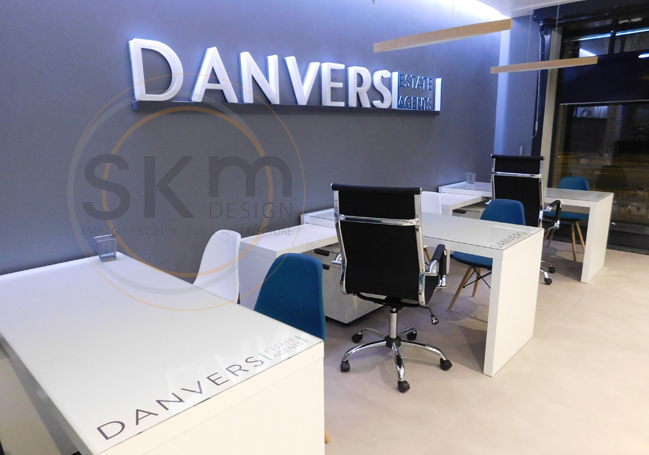 The company also underwent a re-brand to become Danvers Estate Agents. 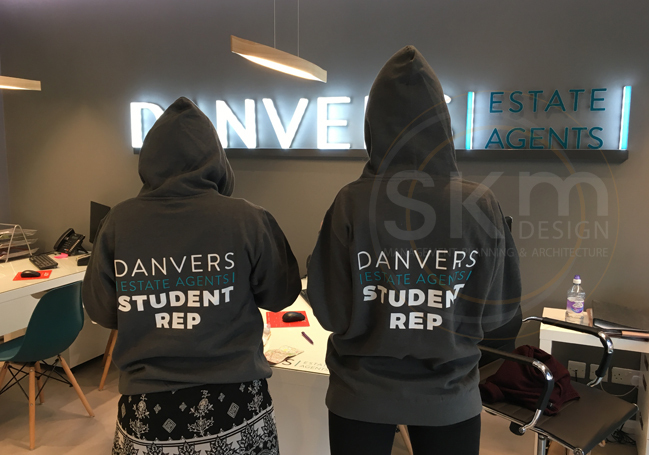 We designed the corporate identity and all of the signage, which has transformed the image of the company, both within the office and across all of their promotional items, including umbrellas, coasters, mouse mats, hoodies and stationery, as well as their sales and lettings signboards.